Basketball is one of the easiest and most inexpensive sports to begin playing. It requires very little personal equipment other than a basketball. Most parks will provide the court and at some parks you can check out a ball like you would a library book. Basketball also doesn't require very many players. Basketball is a team sport that can be played with as few as four players (2-on-2). The objective of the game is really simple. Put the ball in your basket and prevent the other team from putting the ball in their basket. 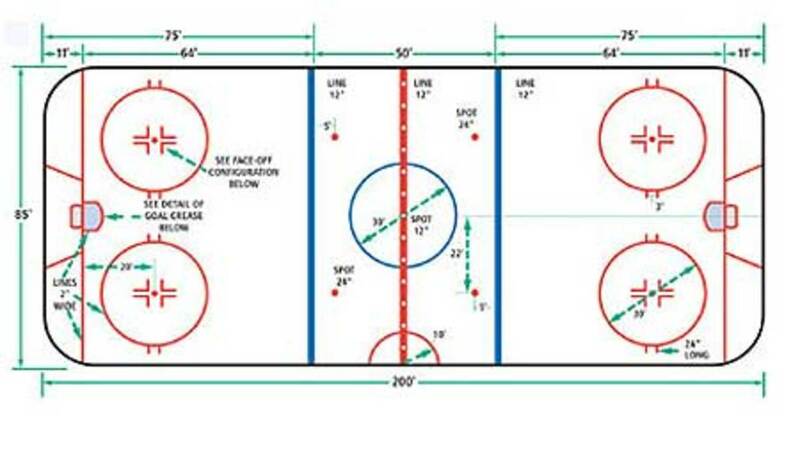 The scoring system is also really simple. Free throws are worth one point, shots in between the 3-point line and basket are worth two points, and shots behind the 3-point line are worth three points. Basketball has a simple concept, but the rules can take some time to learn. 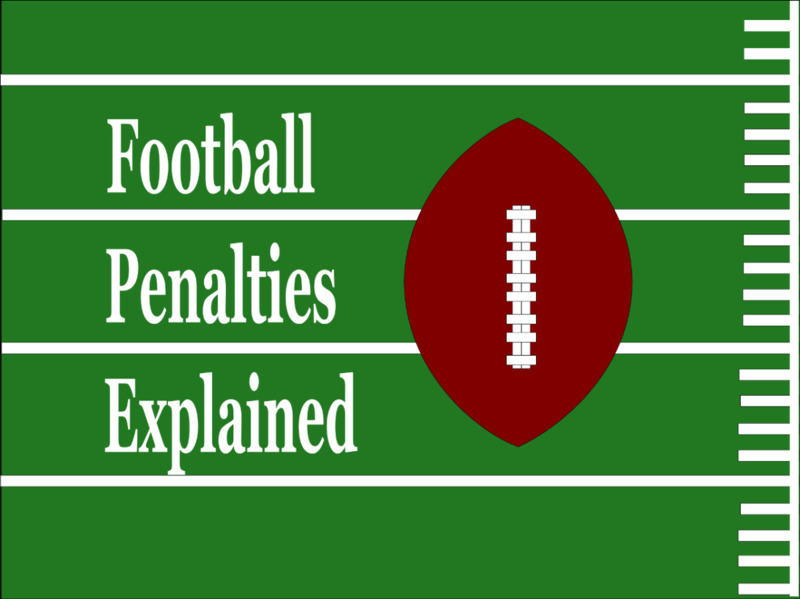 This article will cover common offensive rule violations. The rules that govern offense are the rules that apply when your team is in possession of the ball. The easiest way to explain the rules on offense is to explain the most commonly violated offensive rules. The most commonly violated offensive rules are boundary violations, dribbling violations, and offensive fouls. The most simplest of these rules are the boundary violations. 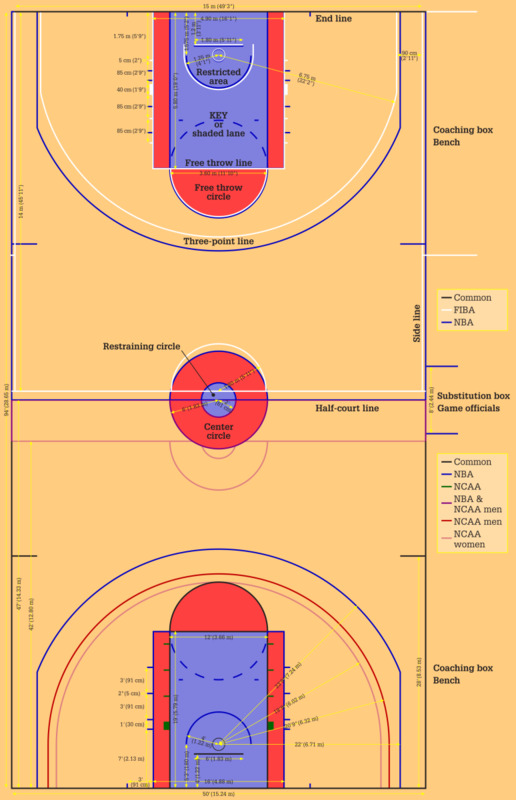 The basketball is out of bounds if it touches the ground outside of the lines, or if it touches equipment, players, fans, or referees that are considered out of bounds. Players without the ball may leave the court, but they must completely stepped back onto the court before touching the ball again. Your position on the court is determined by where your feet or foot last had contact. Therefore players may run toward the sidelines and jump off the court and touch a ball while in the air in an attempt to "save" or throw the ball back into the court before it is determined out of bounds. However, a player may not jump from out of bounds back onto the court and touch a ball while still in the air because that would be considered out of bounds as the last thing the player touched was a part of the ground that was out of bounds. Another common boundary violation happens when players are inbounding the ball or returning the ball back into play. The player must not step on or over the line when throwing the ball back into play. The player must be completely behind the line. The last boundary violation is the lane violation. Lane violations occur during free throws which are uncontested penalty shots that players can be awarded if the other team commits a defensive foul. 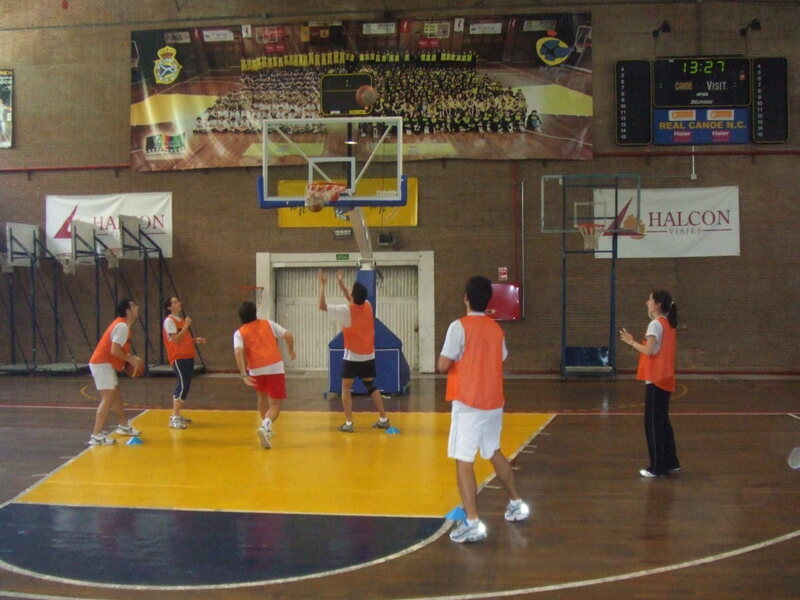 Players must line up outside of the "key" and may not enter into the key until the ball is unreleased during the free shot. Crossing the line anytime before that is a lane violation. The free-throw shooter can also be called for lane violations. The free throw shooter may not cross the free through line until the ball touches the rim or backboard first. Dribbling violations are unique to the person that is currently in possession of the ball. 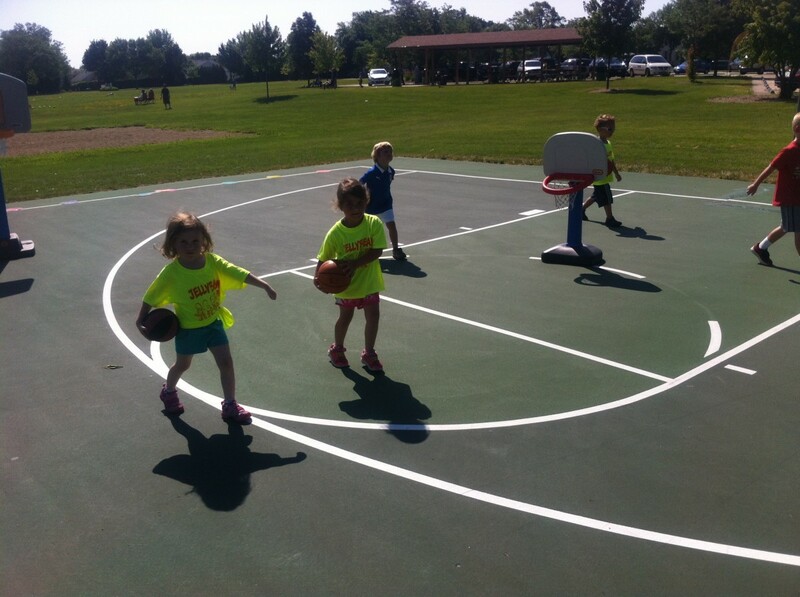 The basic rules of basketball require that a player dribble or bounce the ball while they are going from one area of the court to another area of the court. This is the only legal means of moving about the court. The rules of basketball state that you cannot voluntarily continue your dribble once you have ended your dribble. Ending your dribble is determined by touching the ball with two hands or voluntarily discontinuing the natural path of the ball towards the ground while bouncing it. For example, if I trap the ball between my hip and one hand then that is the end of my dribble and I may not resume dribbling the ball. If I touch the ball with both of my hands then I cannot continue dribbling the ball. This includes bouncing the ball with two hands since two hands on the ball is considered terminating your dribble. You may not palm the ball with one hand either as that is considered disrupting the natural path of the ball to the ground. If you terminate your dribble and then resume dribbling this is double dribble. The only exception is if the opponent hit the ball out of your hand. There is another rule that is closely related to double dribbling, but it is distinguished more by illegally disrupting the natural path of the ball rather than terminating your dribble. Carrying can be more difficult to spot then double dribble because it doesn't involve terminating your dribble. Disrupting the "natural" path of the ball towards the floor can be very subjective. The way people disrupt the natural path of the ball is by placing their hands on different parts of the ball as the ball is bouncing. If you place you hand on the side of the ball or at any position lower than the side of the ball this can be considered carrying the ball. People use these techniques to disrupt the natural rhythm of how the ball bounces. By disrupting the rhythm you can mislead your opponents and obtain an advantage. Its is ok to change the rhythm of your dribble as long as your hands don't go below the side of the ball and you are not palming as you are dribbling. This violation typically occurs when somebody is holding the ball in their hands and takes more than three steps while not dribbling the ball. Taking more than three steps is a violation in all cases. There are cases when traveling can be called after taking fewer than three steps. If you catch the ball while stationary or you end your dribble you are allowed to pivot with one foot anchored to the ground. If you do not maintain that anchored foot you will be called for traveling. The only exception is if you jump and shoot, pass the ball, or if you start dribbling in the case where you have just received possession of the ball. Traveling is a very difficult violation to understand because the number of steps that you can take depend highly on the context of which you received the ball or terminated the dribble. Always remember that in under no circumstances can you ever take more than three steps. Did the defensive player establish a legal position on the floor prior to the illegal contact? A legal position is defined as having your feet set prior to the illegal contact. The defender must also give an airborne offensive player room to land. Therefore the defensive player must have their feet set prior to the offensive player becoming airborne. Is the defender too far under the basket? This is called the restricted area. If the defense is in the restricted area then the foul goes against the defender. Did the offensive player get their shoulders past the defensive player prior to the illegal contact being made? In this case the foul will go against the defense. Did the offense create the contact by lowering his shoulder into the body of the defender? In this case the shoulder is not past the defense and the violation goes against the offense. In certain circumstances an offensive foul can also be called even if the defender is moving and does not have their feet set. This is usually the case if the offense created the contact and never got their shoulders past the defensive player. When the offense uses their non dribbling hand to push away the defender this is also an offensive foul. When the offense wraps an off hand or arm around a defender while trying to spin around the defender this is called "hooking". This is also an offensive foul. Most of the time any contact that involves touching a defender with two hands is considered an offensive foul. The last type of offensive foul occurs during screens. Screens are used by offensive players who are trying to block or "screen" a defender from getting to another offensive player. The person that sets the screen acts as a human barrier between the defender and another offensive player. The objective is to slow or obstruct the defender from reaching that other offensive player. The rules state that a person setting a screen must have their feet set prior to the defender getting to that position. The screener must give the defender enough space to get around the screener without creating illegal contact--enough space is considered between one to two strides. The common sense way of understanding the rule is to remember that if you are setting a screen for your teammate you must be still as if you were an object that your teammate was using to run around in order to avoid the defender. If you act as a moving barrier then you are setting an illegal screen and will be called for an offensive foul. If you are holding the ball you may not turn your shoulder in order to hand the ball of to a teammate and set a screen at the same time. That is also considered an illegal screen. There are many more offensive rule violations as well defensive rule violations, but these are the most commonly violated rules on offense. These basic rules can seem overwhelming, but as you play and watch basketball you will start notice that many of the rules will feel like common sense. The reason it feels this way is because the rules themselves have evolved over the years as more and more basketball games are played from season to season. Every year the NBA changes the rules in an attempt to make the game more fair. The standard by which they change the rules are based on what seems to make sense to most people. Thank you renee21 and Larry Rankin. I have always loved basketball! I didn't used to know all the rules, but I have slowly learned them. I now play basketball in college. Great hub! Thank you Alphadogg16. I really appreciate the compliment and I am glad that you like the Hub. 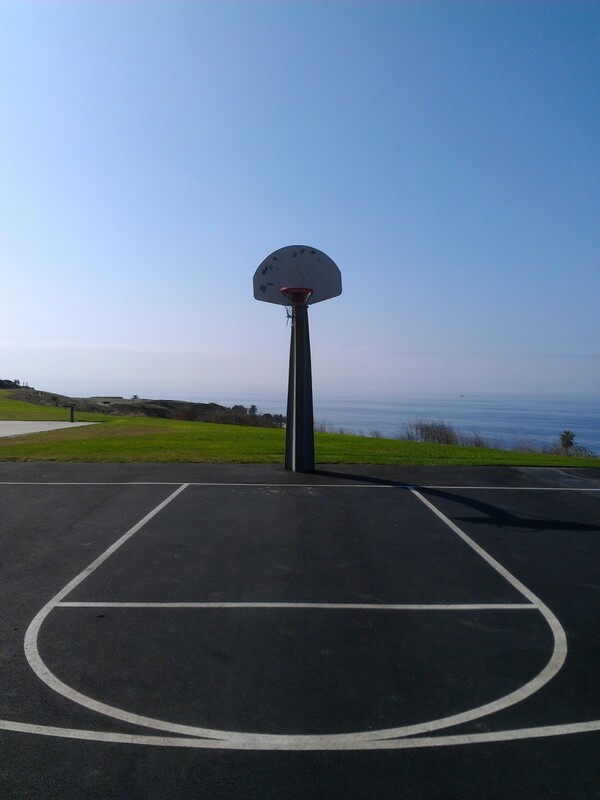 Baskeball season is about to start soon so I thought I would write an article on Basketball. I hope that young players find this article useful. Nice hub! I coach my sons youth basketball team and I have to constantly reiterate the rules.